Saloodo! 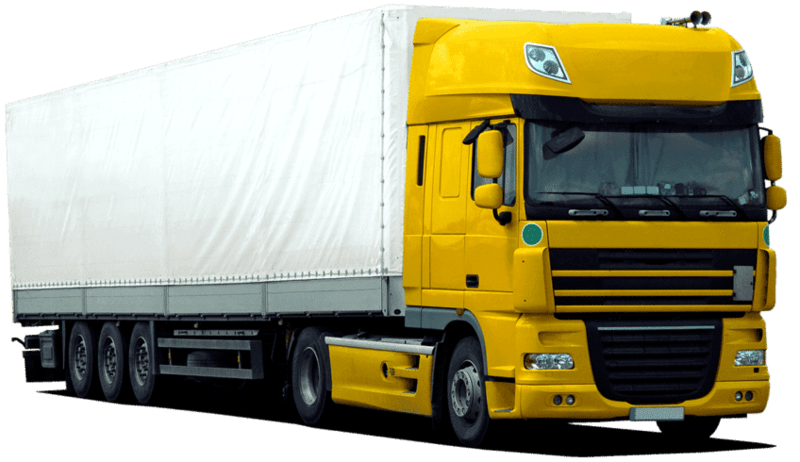 makes it easy for shippers to find verified road freight carriers and helps carriers to find suitable LTL, PTL and FTL to optimize their truck capacities – all within a matter of clicks. Saloodo! offers B2B companies instant access to trusted road freight providers for on-demand shipments, with the freedom of choice of a marketplace and the security and convenience of a digital freight forwarder. We simplify your daily business by providing a single and convenient interface for tracking, documentation, and payment – giving you end-to-end control to your shipment processes within a single platform. Saloodo! is your digital logistics solution of choice for convenient and safe transportation of your precious cargo to your customers. You get instant offers from reliable transport companies and real-time status updates from pick-up to delivery. 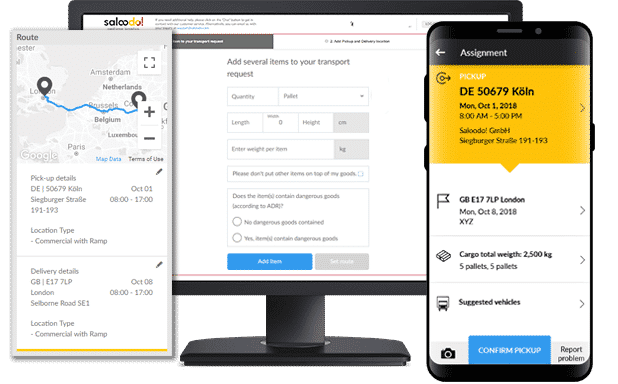 Leverage a single platform to get suitable loads in real-time and optimize your fleet, assign transport jobs to your driver through our Saloodo! Driver App and profit from guaranteed fast payment with Saloodo! as your contract partner. Do you sometimes wonder what a particular term or acronym means in logistics? If that’s the case, then you are in the right place. The Saloodo! glossary covers complete definitions and specialized terms frequently used in the logistics sector. Follow our blog to stay updated on the latest topics and trends! Click on one of the category pages below to learn more about our field of expertise and to gain a better understanding of logistics processes. For instance, learn how Saloodo! 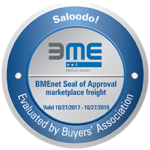 can help you ship pallets or how to find and choose a freight forwarder.